e-mail me or call me at 574 656 3663 if you would like to place and order or have any questions. Another wonderful product comes to us from the UK, the high quality “Stay Put Craft Mat”. As it states, it stays put on most work surfaces, no more sliding around, having to use glue dots or hold it in place with your hand. 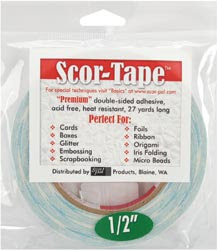 The unique backing forms an air tight seal without harm to your work surface leaving your hands free for crafting. Also the corners will not curl as other craft mats on the market do. 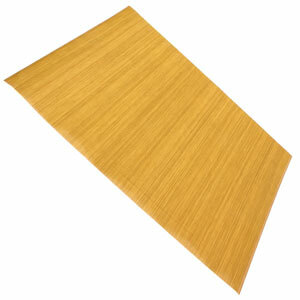 The Mat has a non stick surface and is heat resistant. It can be used with, to name just a few, molten UTEE, alcohol inks, paints etc. To clean, simply wash the mat in hot soapy water. The special backing does not wear off. The Mat is 15 ¾" x 19 ¾". The "Stay Put Craft Mat" is a must have product for all your crafting needs! 15"X18" is a reusable, non-stick multi-purpose craft sheet and offers a heat resistant, slick work surface for easy clean-up. Paint, glue and embossing powders peel off and inks can be easily wiped clean. The generous size makes a great work space - 15" X 18"
RANGER INDUSTRIES-Create custom pens using your favorite reinkers and stamp pads! For use with all types of dye inks and water-based solvent. Extra long for easy handling, soft touch, uniform ink flow, high wear resistance, high quality, and 10 nibs. by Therm-O-Web. There are 440 adhesive squares which include 1/4 " squares and 1/2 inch squares. The squares are 1/8 inch thick and perfect for creating 3-Dimensional projects. One thing I love about them is the paper peels off easy. is a reusable clear sheet designed to use with your unmounted rubber stamps. You can use it over and over again and it can be cleaned with clear lukewarm water. The sheet is a 4x6.5 and will cover 1 large clear acrylic block or several small ones. You use it only on unmounted rubber stamps. I would recommend not using it on the clear acrylic as they might tear. The Tack'n Peel does have a slight cushion to it, but I always recommend stamping on a piece of foam. Trace and cut a sheet to fit a clear stamp block and you can use it on any of our unmounted rubber stamps. When finished stamping, the Tack'n Peel blocks can be stored and used again. Make sure you put on the clear plastic to cover your block when you are finished. I love this ruler!!! It is especially nice for making even piercing and placing embellishments in the right place. Please e-mail me if you would like to purchase the tape. Be sure to tell me which sizes you want to purchase and your mailing address, how you wish to pay. I accept Visa, Master Card, Discover and PayPal. Now you can easily add perfectly rounded corners to paper, cardstock, leather, plastic, acrylic/poly and more! 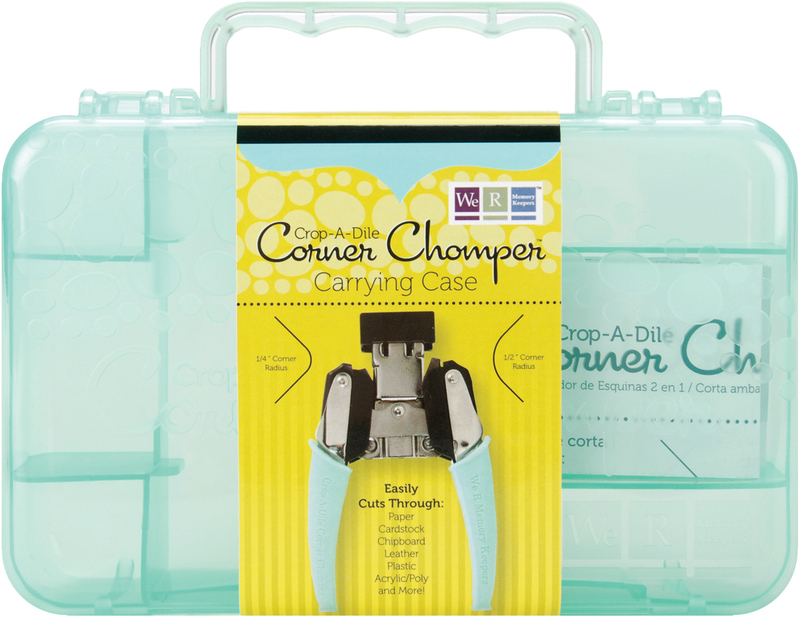 The Chomper also gives you two corner options, 1/4" and 1/2". 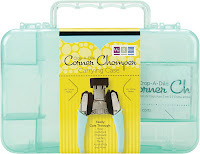 Plastic case features carrying handle and dividers inside to keep the Corner Chomper from sliding around with additional space for small items. Measures approximately 7"x4.25"x1.5".